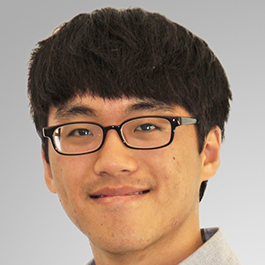 Hajin Kim will graduate from Goshen College with the Class of 2019 with a bachelor’s degree in accounting. Hajin started interning at the Everence® headquarters in Goshen during the summer of 2018. What are you doing in your internship? I am an Asset Management Intern for Everence Asset Management. Throughout my internship, I have reviewed trusts, wills, beneficiaries, customer accounts and made any changes if needed. I updated any outdated information using the Everence database. I liked that I walked into a friendly and welcoming work environment, got a tour and was able to meet people from different departments who work here. I had different opportunities and received help from those around me if I needed it. I saw how Everence engaged the interns in the best way they could. There are programs geared toward interns, like the Speaker Series we had once a week. That made me see how this company is committed to helping students prepare for the future.